The Bear Skn crew are launching the world’s first underwear subscription service – aimed exclusively at guys in the “plus-size” category. It’s funny how you don’t actually realise something pretty obvious until it’s pointed out to you. Then you cannot NOT see it. I was a bit like this when it comes to underwear. I guess I’m so used to seeing underwear models being thin, lean, muscly or smooth – that it didn’t even really occur to me that men of different shapes and sizes weren’t being reflected in these images. I may not be a “plus-size’ guy myself – but I’m certainly not an underwear model either. So, when I came across Bear Skn, I was intrigued. Would an underwear brand aimed at bigger guys succeed? Could it? Not only are Bear Skn doing well – they’re in the midst of a Kickstarter campaign to launch the world’s first ever underwear subscription service for bigger guys. There are a number of these subscription services around already. But as you can probably guess, none of them are aimed primarily at the larger size market. Bear Skn have identified this gap – and now they’re doing something about it! Bear Skn was born out of a desire to provide more comfortable underwear for big bodies. Setting itself apart from the entire underwear industry, Bear Skn celebrates people of size. Being comfortable in who you are has been a core value and driving force behind everything Bear Skn does. Bear Skn celebrates bigger bodies by not only providing products that fit, offering up to size 6XL, but showing diverse body types in all its marketing and social media. “We started by doing our own photo shoots, but the photos we get from our fans are so much more popular” says Bjorn Ryan-Gorman, Bear Skn Creative Director. “Before we started Bear Skn we would look at a package of plus size underwear and it had the same model you see on the smalls and I always thought well this is not the same underwear, how do I know what its going to look like on me?” adds Jody Koenig, Bear Skn Co-Founder and Operations Manager. Men should be comfortable in their own skin and even more comfortable in their underwear. Bear Skn is on a mission to make that a reality. Repositioned seams, fabric that moves the way you move, signature double layer of mesh for extra air flow and durability right where you need it the most all with no tag. “I wanted to see men that looked like me in the underwear I was about to buy.” In the past 3 years running Bear Skn, Co-Founder Jody Koenig has learned that they weren’t alone in their quest for comfortable underwear. Underwear is the one piece of clothing that you spend the most time in and its closest to you during the day so its important that you feel good in it. One of the best feelings in the world is putting on a new pair of underwear and we believe that everyone should get that experience. Just because you are a bigger person you should not be unable to have this experience. An underwear subscription is the best way to have a new pair of underwear delivered to you each month packed with comfort. An underwear subscription is a fun way for customers to get a new pair of underwear in the mail each month and it also helps us at Bear Skn continue to provide new designs. Check out the Bear Skn website here. 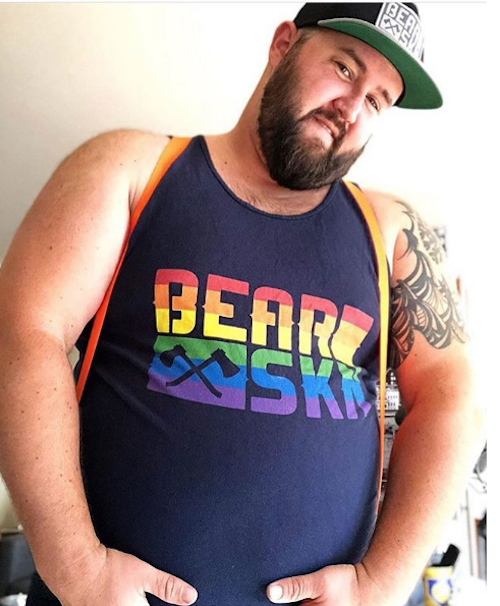 This entry was posted in Gay Community and tagged bear skn, bear skn instagram, bear skn kickstarter, bear skn review, undies for bears on by .